Polly has been trained and attuned to access and serve as a channel for the life force of chi, in order to activate healing energy within the body. As harmonic flow of energy is strengthened, healing occurs through the return of physical, mental and spiritual balance. 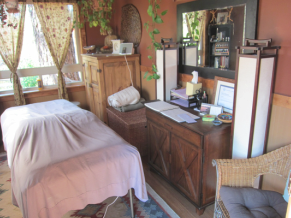 Polly has been a Master Level Reiki Practitioner since 2004. Home office located one mile from downtown Truckee at Truckee River Sanctuary. Quiet, comfortable and safe healing space. **CATS AND DOGS ON PREMISES! !